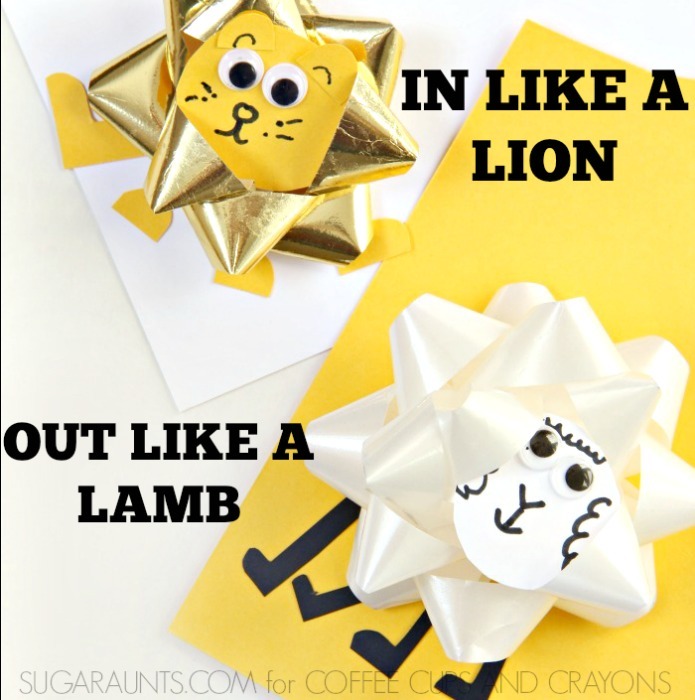 This In Like a Lion and Out Like a Lamb lion and lamb craft for Spring will make kids and adults smile! This time of year, it’s fun to celebrate the lion-like weather that comes before the lamb-ish weather during the month of March. We made this lion and lamb craft using a unique crafting material: gift bows! This Spring craft is perfect for talking about the weather that the month of March brings. 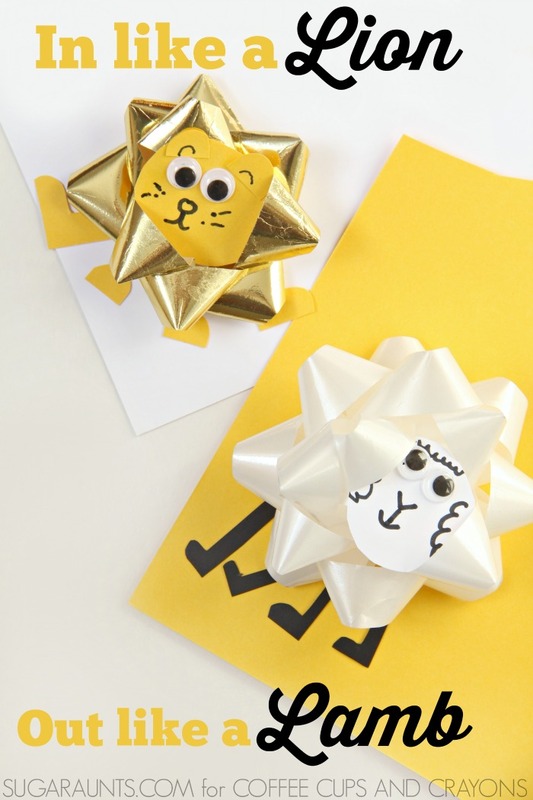 I love to incorporate fine motor skills into kids crafts and the lion and lamb craft for Spring targets a few areas. Cutting small shapes from card stock is a great way to work on precision in scissor skills. 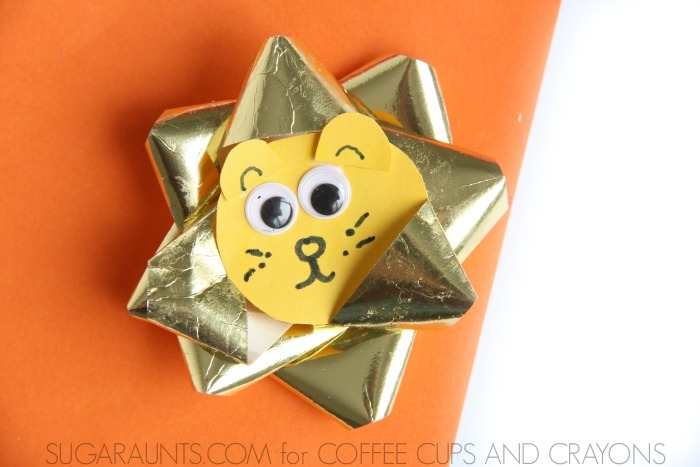 Gluing on small paper parts is a fun way to help kids with tip-to-tip grasp while addressing direction following abilities in making a craft like this one. First, cut out a small 1 inch circle from the card stock. Cutting a material like card stock provides more resistance and feedback during snipping with the scissors so a child can be more accurate. Cut out small semicircles from the yellow card stock. 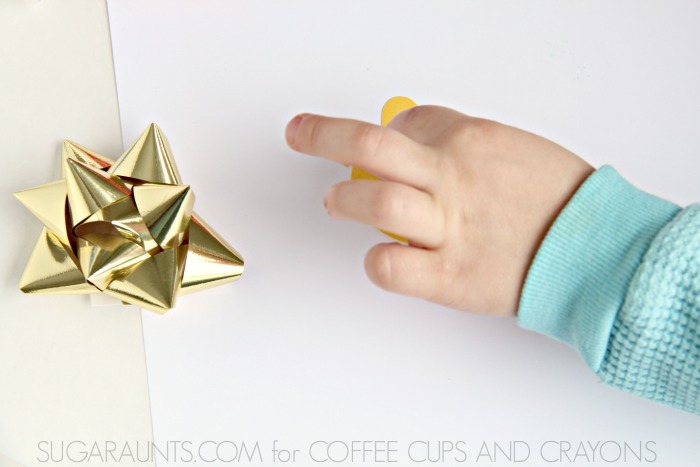 Use the glue to attach the circle onto the gold gift bow. Glue the semicircles to the top for the lions ears. Glue the googly eyes into place. Finally, use the marker to draw on the lion’s face. Cut a 1 inch circle from white card stock. Glue on the googly eyes and glue the circle onto the white gift bow. Cut legs from the black card stock. Tape or glue these onto the back of the gift bow. These gift bows would make a nice topper to a gift or attached to a piece of paper to create a card for a loved one. Enjoy the changes in the weather this season as March comes in like a lion and out like a lamb! 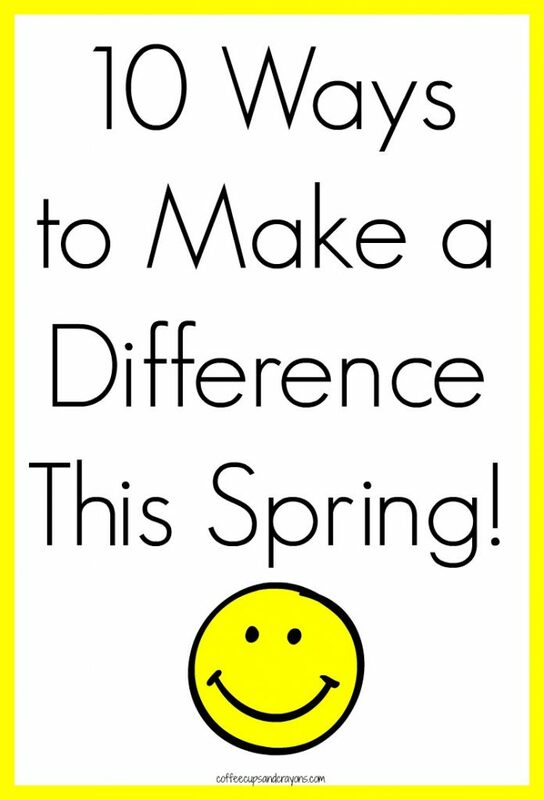 For even more Spring themed fun check out 10 Ways to Make a Difference this Spring!